Lunar Meteorites- comprehensive site from Washington U.
MeteoritesAustralia- a most informative website! Nature's Vault- Greg Hupé's site for sales, expeditions, etc. Oral history interview with H.H. Nininger, 28 Jan 1976- Great! My thanks to the many dedicated investigators whose ongoing research provides the basis for this website. Some of the sources utilized for this website are not peer-reviewed. 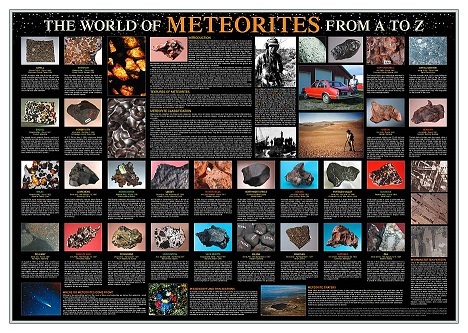 By providing links to other sites, Meteorite Studies does not guarantee, approve, or endorse the information or products available at these sites, nor does a link indicate any association with, or endorsement by, the linked site to Meteorite Studies.